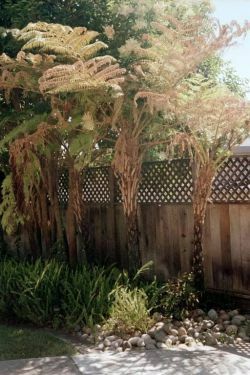 Comments: Fern trees are primative evergreen vascular plants that reproduce without seeds. There are a wide variety of fern species and the type pictured is unknown. 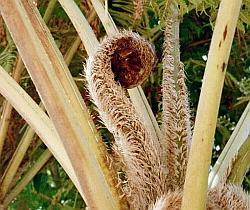 It is suggested the species are Cyathea australis or Cyathea cooperi, with C. cooperi being the most likely.